The evolution has begun and the amphibians are looking to take over your shelf space! Ever fancied a less slimy Megophrys Nasuta (Long-nosed horned frog) also known as the Malayan horned frog or Malayan leaf frog is a species of frog restricted to the rainforest areas of southern Thailand and Peninsular Malaysia to Singapore, Sumatra and Borneo. 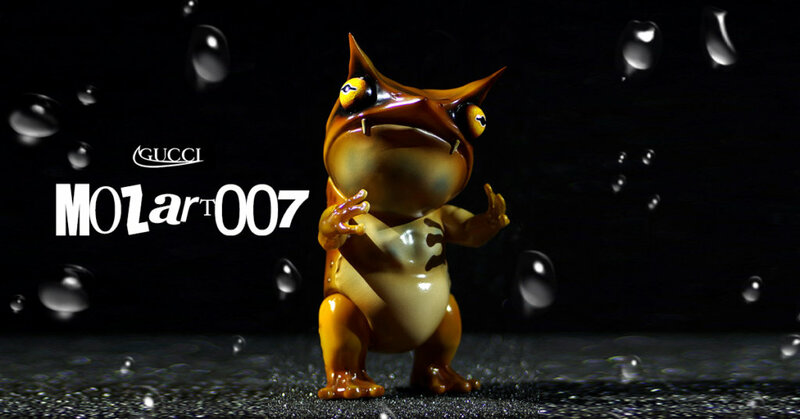 (thank you to wikipedia ) NGToys is giving you the chance to own their take on the amphibian. With only 20 made available, this will be, for now first come first served basis. With title”Adopt Mozart007″, names, address, telephone, IG, Paypal.